B1762. LILLI LEHMANN. My Path Through Life [Autobiography]. 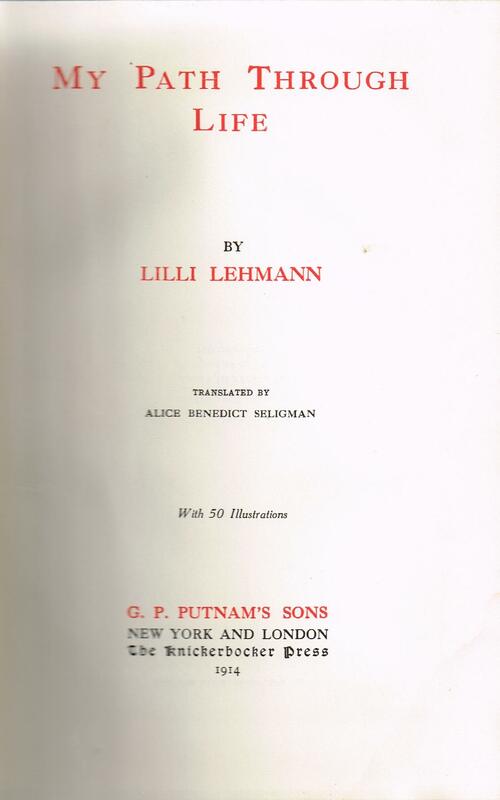 New York, Putnam’s, 1914, First Edition. 510pp. Index; List of Lehmann’s Operatic Repertoire; Photos. Decent ex-lib copy has occasional highlighting in yellow, not affecting text. Disbound (no hard covers) witgh some loose pages, but certainly worthy of rebinding. The first Brünnhilde was not easy to find, for most prima donnas impressed Wagner as being ‘silly, fastidious schoolgirls’. He finally chose Amalie Materna, a big-chested Styrian with a grand manner and a zooming voice. At that first Bayreuth Festival in 1876 one of the Rhine maidens was a pretty young Jewess named Lilli Lehmann. Wagner wanted to adopt her but her mother, who knew the master well, objected. 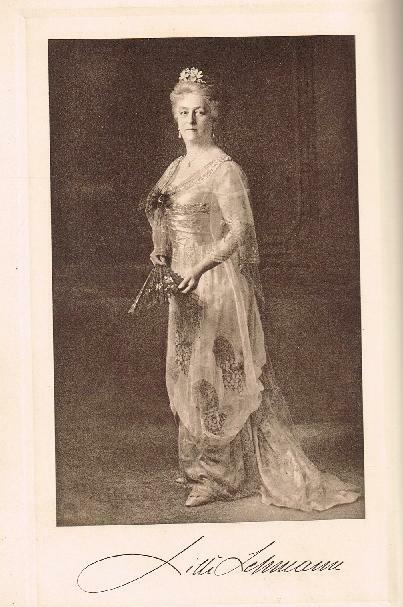 Lehmann was a light coloratura then and no one, least of all Wagner, suspected that she was soon to cultivate dramatic rôles and sing Brünnhilde.